XC skiiing in Montana just got a whole lot easier thanks to CROSS COUNTRY SKI MONTANA, which provides a one-stop location for great information about Montana's outstanding XC ski trails and areas (for both classic and skate skiing), Nordic ski clubs, and ski shops! Answers critical questions like: Is skiing free or is there a fee? Is the area groomed and if so, for classic, skate, or both? Who does the grooming? How do I get latest grooming report? How do I connect with the local ski club? Are there ski shops nearby for rentals or repairs? How many kilometers (miles) of trail exist? How do I get to the area? Are dogs allowed? Both groomed and ungroomed, fee and free areas described! CROSS COUNTRY SKI MONTANA seeks to describe every groomed XC ski area in Montana, plus a large number of the state’s most popular ungroomed trailheads. Highlights the Montana ski community! CROSS COUNTRY SKI MONTANA also highlights Montana’s many local ski clubs, good folks who volunteer to maintain, care for, and groom many of the state’s treasured XC ski locations. In addition, the app highlights local ski shops, places where skiers can rent or buy gear, have repairs done, or learn the latest conditions. No WiFi or cellular connection needed to use CROSS COUNTRY SKI MONTANA! Why? Our app is designed to work offline because XC skiing in Montana often means heading into wild country, to places with no cellular service, much less WiFi. So almost every aspect of CROSS COUNTRY SKI MONTANA works regardless if the nearest cell tower is three counties away (only real-time grooming reports require connectivity). No separate map purchase or dowloading maps required!The app is fully self-contained and and works with your smart phone or tablet’s GPS and Google Maps. XC skiers simply open the app and zoom to their current or desired location to explore new places to ski or get directions to their desired destination! A big look at Montana XC skiing! In the top left corner choose the type backdrop map you prefer: terrain or satellite. Select for groomed or ungroomed, pay or free. Plus find ski shops & local ski clubs! Tap to find your current location, or pinch/zoom or pan to explore areas where you might want to XC ski. Get in-depth XC ski info! 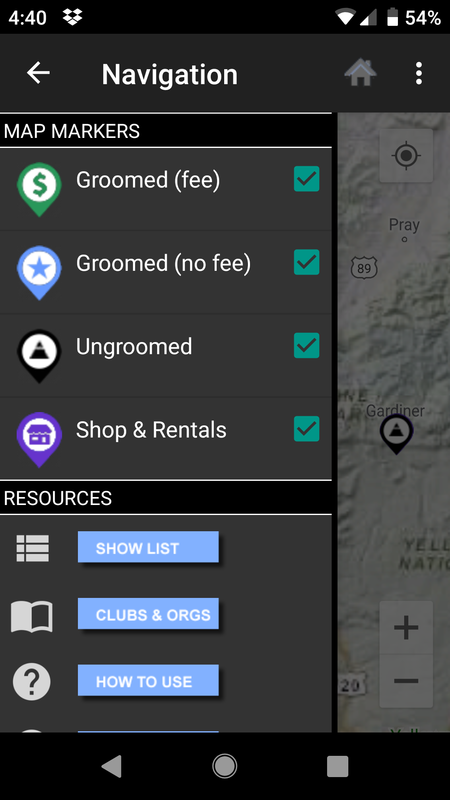 Area descriptions plus tap icons to find grooming reports, directions, and more! CROSS COUNTRY SKI MONTANA. 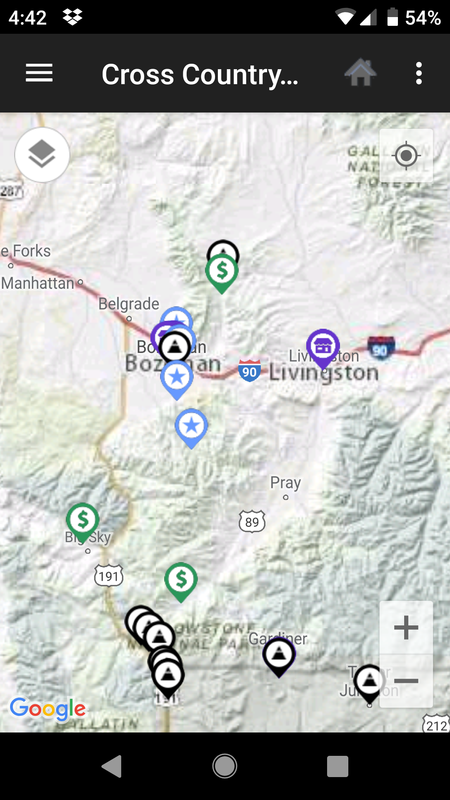 Bozeman-based MountainWorks Software just released a new mobile app that has maps and info on xc ski trails, groomed and ungroomed, throughout Montana. Cross Country Ski Montana includes info on distance, whether or not dogs are allowed, local ski clubs, ski shop locations, and more. Plus, it'll work offline, too. And yes, the Community Nordic Trails are on there. BSF shared our maps and info with the developers, Katie Gibson and Scott Bischke. The app is available for $4.99 on: Google Play (Android) and Apple App Store (iOS). Sure, you know where to go cross-country skiing when you’re in the Bozone, but what happens when you visit other Montana cities? Do you throw your skis in and hope for the best when you reach the trailhead? Or maybe visit a local shop, ply them for local intel, and then make a purchase for the information (or feel guilty for taking up their time and not spending a dime). 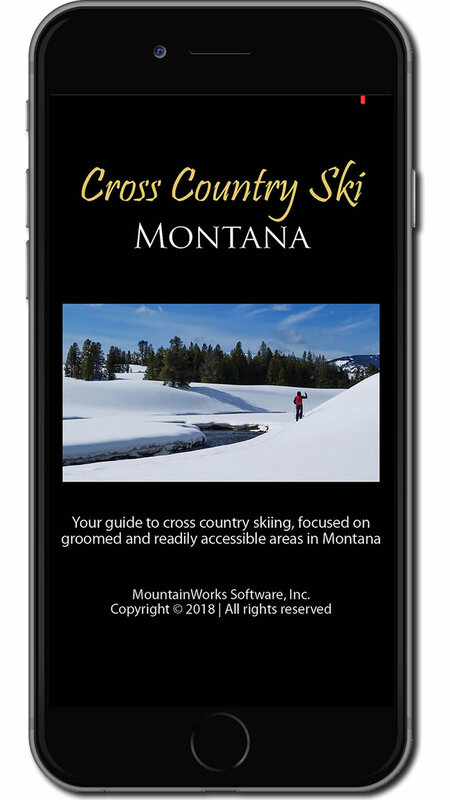 You can now have all the information you need at your fingertips with the Cross Country Ski Montana app from Mountainworks Software (creators of Montana Fishing and Montana Hunting Access apps). 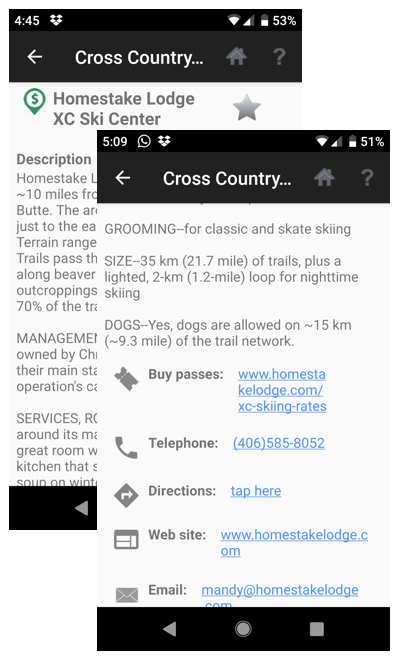 Available for both Android and Apple phones, the Cross Country Ski Montana app compiles the information for cross-country ski trails throughout the state. The list includes fee-based and free trails, and groomed or ungroomed. The key provides easy navigation and each location is clickable so you can get additional information, such as directions or how much a day pass will cost. All the information is downloaded to your phone, so you don’t need cell service to access the intel. 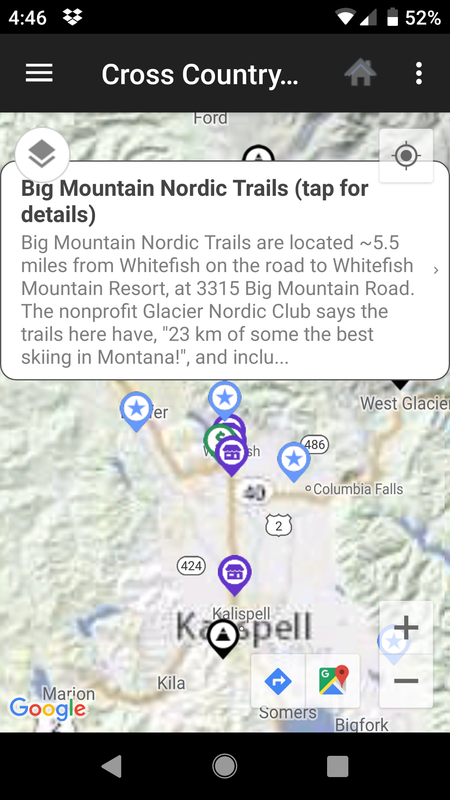 And don’t worry, the app isn’t giving out information on all locations to ski, it gathers the general trail information from local ski groups in each area and provides it in an easy-to-decipher format. You’ll also find the local ski shops listed, in case you forgot something or need to rent gear. Get the app for $5 in your phone's app store. 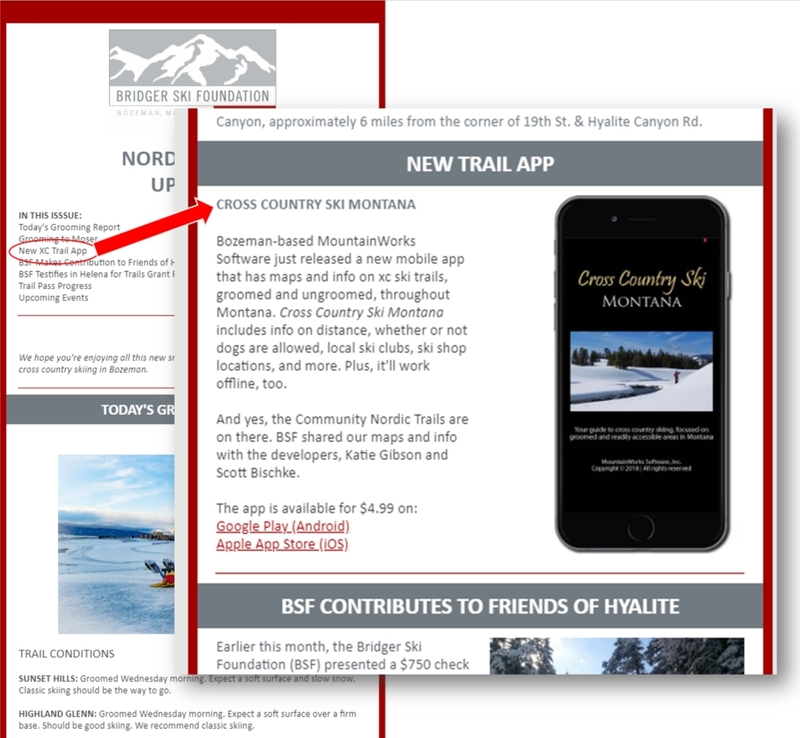 Nordic skiing in Montana just got a whole lot easier thanks to a new mobile app, Cross Country Ski Montana, which was released by a Bozeman-based software company this month to help skinny-skiers navigate the state’s vast network of trails. 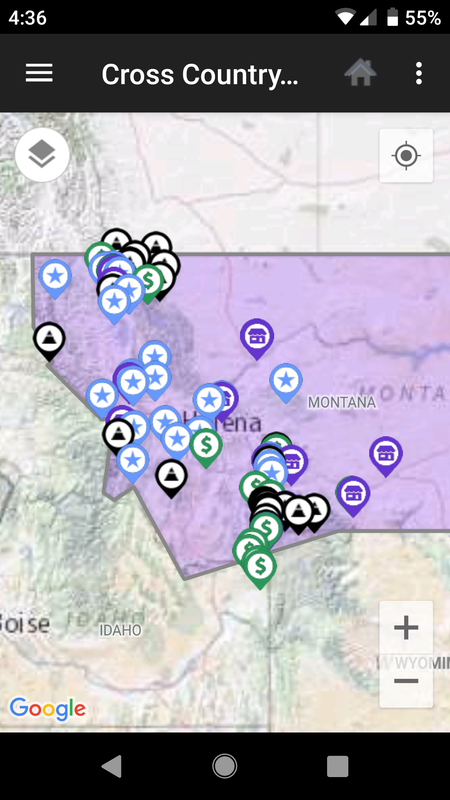 Previous apps they’ve developed include one with information on floating and fishing the state’s streams (Montana Fishing), and the other describes and locates Block Management Areas for hunters (Montana Hunting Access).